Gio-ji Temple is in Arashiyama, Kyoto. A dancer Gio lost a Taira-no-Kiyomori's favor and was turned out from Kyoto. She spent the rest of her life as a nun in this convent. Giouji Temple is located a little walk ahead from Arashiyama. The beautiful moss is specially fascinating, and it changes the color in each season. 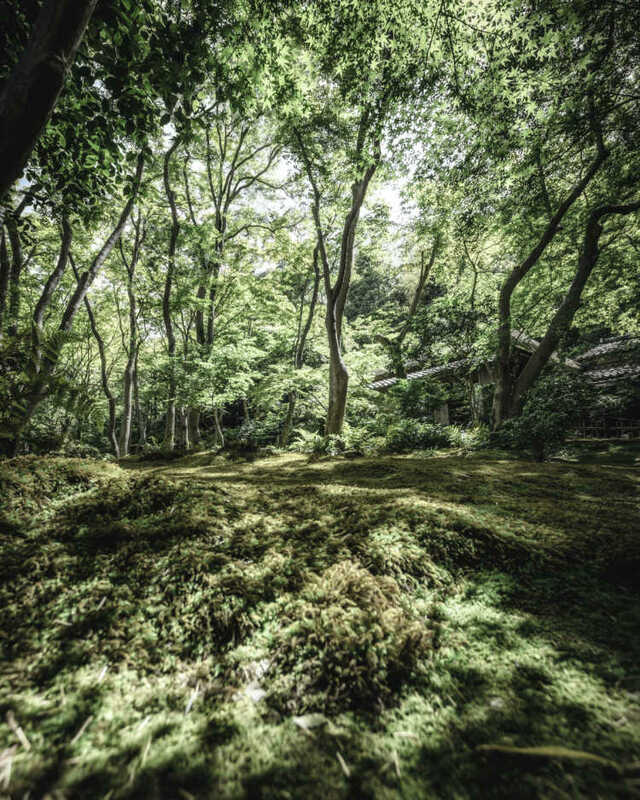 In early summer, the moss green becomes most beautiful and vivid. 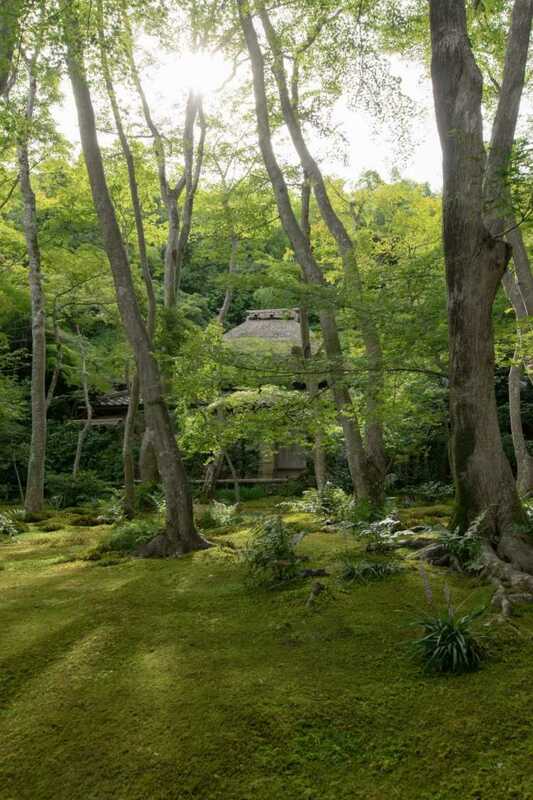 Giou-ji Temple located in Arashiyama, Kyoto is famous for the beautiful moss. It looks more beautiful after the rain and during the rainy season. 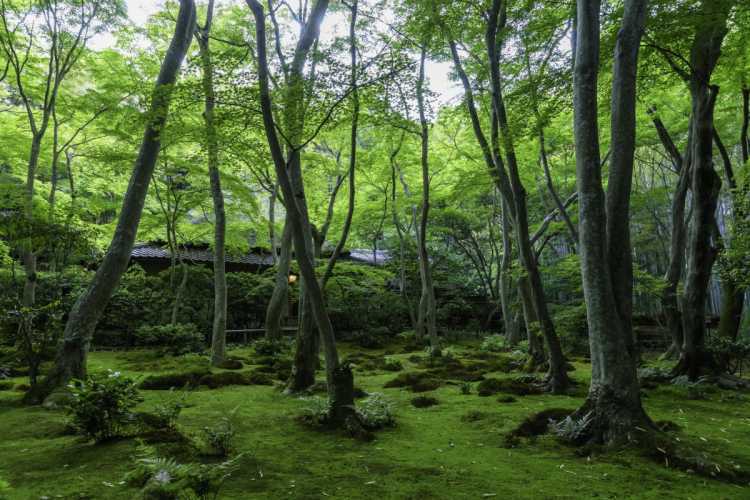 Not only the moss, you can see the green world of maple leaves and bamboo grove covering the whole temple.◎20 min walk from Saga Arashiyama Station, or Kyofuku Arashiyama Station. Opening hours: 9:00-17:00 (entry 16:30). Admission fees: adult 300 yen, child 100 yen.